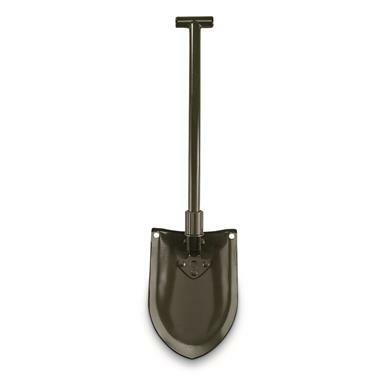 Here's a handy Swedish Military Reproduction Folding Shovel for gardening, camping, emergencies and more. It's made from durable steel, with a foldable shovel head and ergonomic T-handle. 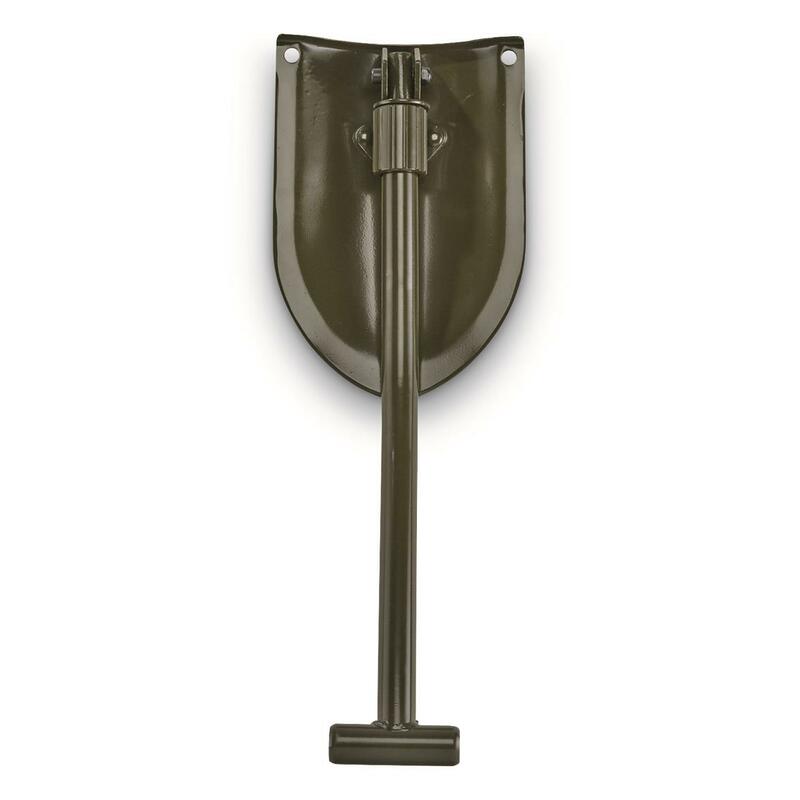 Swedish Military Surplus Folding Shovel, Reproduction is rated 3.0 out of 5 by 1. Rated 3 out of 5 by Eddy from Solid shovel but Chinese. SG fix the description please. Just know that the shovel is not military surplus at all, it is just some chinese copy of a swedish shovel. Also the internal pipe is rusty, so spray it down with some WD40 before you take it out. WITH ALL THAT SAID; this is a decent shovel for the price, but it is on SG to fix the description. Also if you get a 5/8 cotter pin you can separate the shovel and handle to make securing to a ruck pretty easy. All in all this is a decent shovel that you can abuse in all your outings into the backyard or beyond.